I might mention that we were well within range of the Germans during this time, who apparently could not spare one of their 11-inch guns for us, which was a good thing, as one from them would not leave much of the Arethusa, I think. Their shells were beginning to fall a little too near us for safety, and we really thought we were in for it as first one big one fell just short -- this was my side (port). The next came with a horrible, shrieking noise and passed over the ship just abaft the mast and damaged our port aerial. I then began to think that the next would find the range, but fortunately it passed just astern. We had a very warm time for awhile, and you must understand that the Arethusa is quite unprotected, and we have no protection but only light shields at our guns-- in fact, the shield of my gun has twice been burst in by the sea. The German ships appeared to be on fire more than once, and at last there was no doubt about one of them -- the Blücher. It was then that our turn came, and as her fire slackened we quickly came up with her and started with our bow six-inch with lyddite. This is a terribly destructive shell, and when our big ships were firing, their shells on exploding caused clouds of yellow smoke. Our starboard battery of four-inch also came into play, but unfortunately all this time I had to stand idly by with a shell in my arms, as none of the guns on our side got a chance; this was rather trying. The Blücher was now out of action, and the Arethusa gave the coup de grâce by slipping in two torpedoes at her just as we slewed around. These caused frightful havoc, one bursting in the engine-room and the other just below the fore turret, and rapidly caused her to capsize. She was before this a battered wreck on deck, practically all her gun crews were killed, and her officers drove the men from the stoke-hole at their sword points to reman the guns. This was told us by the German prisoners aboard, and one or two of them have wounds which they said had been caused by their own officers' swords . . . The Blücher, which had capsized, was lying awash, with her side just out of the water and men standing on it, while all around there seemed hundreds swimming and drifting in cork jackets toward us. We were very close; in fact, it seemed dangerously so. I shall never forget the sight, nor what followed later. I think it was more affecting than anything Anyway, we started to drag them in up the ship's side, and in this way and by the boats we got 123 on board, while the destroyers also saved a lot. Some were badly burned. We got six officers in the above. Shortly after we got our boats a terrible sight came along, which was a lot of Germans being swept along in the water and who had evidently drifted off in another direction when we picked the others up. In this case they were sweeping by the ship, and we could only save one or two --several drowned before our eyes, although having life-belts on. Then the destroyers came up and picked up a lot. By this time our battle cruisers had disappeared after the Germans, and we turned about and started to go for all we were worth back to the Lion, the Indomitable having already gone back. There was, of course, great danger to her from submarines, and it was a very anxious time from Sunday night until we got to Rosyth about 4 a.m. on Tuesday. We had a beastly night on Saturday; you could not see a thing except at intervals and you had to look out as best you could. Our next ahead's stern light went out and it was an awful job to keep touch with the flotilla. We joined up with the flotilla at 6.50 and at 7 a.m. we sighted some craft in the demi-light on our starboard bow. As the light got better we made out the enemy battle cruisers making our way, and none of us felt very happy as we appeared to be up against a strong force of battle and light cruisers and torpedo craft. I was wet through, having come up quickly without an oil-skin, which I won't do again even though I am a bit late on the forecastle; also suffering a bit from seasickness. I suppose at a pinch one can fight well even though it's on an empty stomach and no sleep and wet through, but I am blowed if you can if you are feeling seasick. A bit later we made out some heavy ships on our port side (we were steaming north). These might have been Germans for all we knew in the Sandfly. The German ships came on for a bit as we were screening the big ships, being between them and the enemy, but as soon as they caught sight of the Lion and that lot they altered course 16 points and made off towards the Fatherland as quick as they could. We could not get at their flotilla, so we had to form astern of our battle cruisers and leave it to them. After this we were only spectators of the fight. About 9 a.m. our leading ships fired ranging shots from the fore turrets, but they fell short; about 9.30 it seemed that the enemy were within range, and at 9 45 the Tiger and Lion seemed to be firing their whole broadsides regularly, and about 10 a.m. the Lion, Tiger, New Zealand, and Princess Royal were all in action. It was very hard to see much from where we were, as our bridge was washing down, and one could not keep binoculars dry. As far as we could see our shots were straddling them all right, and theirs seemed to be all around our two leading ships, especially the Tiger. We could not make out the hits, though we knew some shots must be hitting. The light was very good indeed and just suited us, as we could use the superior range of our guns. I can't say I was very impressed with the action, as it looked just the same as any squadron firing one has ever seen in peace time. I have no doubt it was quite exciting enough, though, in the battle cruisers or to anyone who had not seen ships engaged before. At 11.50 we sighted a Zepp. Our ships seemed to have edged in and headed them off to the northwards a bit. All this time we had been following up astern and only able to look on and watch the flashes and fall of shot. About the progress of the action and damage each side was doing we could tell very little, except that their shooting seemed jolly good. At 11.10 we came up to the Lion, who had fallen out of the line and was listing a good deal to port. Otherwise she seemed perfectly all right. However, she was obviously out of action, and it did not cheer us up at all as, for all we knew, our other three might be getting the worst of it. The first flotilla boats formed a screen round the Lion and after this we were out of the fighting altogether, and much to our annoyance we had to let the whole concern drift away to the eastward, spitting out flame and smoke at each other quite in the approved style. Our main care was now guarding the Lion from torpedo attack, and we steamed slowly northwest. No one tried to attack us though, as I fancy after Heligoland they are a bit chary of our destroyers. Certainly our new boats are beautiful boats, with three 4-inch guns. The admiral shifted his flag to the Acheron. At 2 p.m. the remainder of our ships appeared astern of us and overhauled us, and the Acheron as she passed signaled that the Blücher was sunk, which bucked us up. Later the Indomitable took the Lion in tow and all destroyers screened her from submarine attack, and we all steamed home slowly. None of our other ships showed the least signs of having been engaged. The destroyers that went on had the most interesting time, as they saw the Blücher sink and picked up the survivors. Had bombs dropped at them while doing it. They (our destroyers) say the Derfflinger and Seydlitz were both badly on fire and awfully badly knocked about, and they wonder how they managed to steam away, but they have 13-inch armor, which must have saved them. Shots came slowly at first. They fell ahead and over, raising vast columns of water; now they fell astern and short. The British guns were ranging. Those deadly waterspouts crept nearer and nearer. The men on deck watched them with a strange fascination. Soon one pitched close to the ship and a vast watery pillar, a hundred meters high one of them affirmed fell lashing on the deck. The range had been found. Dann aber ging's los! Now the shells came thick and fast with a horrible droning hum. At once they did terrible execution. The electric plant was soon destroyed, and the ship plunged in darkness that could be felt. 'You could not see your hand before your nose,' said one. Down below decks there was horror and confusion, mingled with gasping shouts and moans as the shells plunged through the decks. It was only later, when the range shortened, that their trajectory flattened and they tore holes in the ship's side and raked her decks. At first they cane dropping from the skies. They penetrated the decks. They bored their way even to the stoke-hold. The coal in the bunkers was on fire. Since the bunkers were half empty the fire burned merrily. In the engine-room a shell licked up the oil and sprayed it around in flames of blue and green, scarring its victims and blazing where it fell. Men huddled together in dark compartments, but the shells sought them out, and there death had a rich harvest. The terrific air-pressure resulting from explosion in a confined space, left a deep impression on the minds of the men of the Blücher. The air, it would seem, roars through every opening and tears its way through every weak spot. All loose or insecure fittings are transformed into moving instruments of destruction. Open doors bang to, and jamb -- and closed iron doors bend outward like tin plates, and through it all the bodies of men were whirled about like dead leaves in a winter blast, to be battered to death against the iron walls. In one of the engine rooms -- it was the room where the high velocity engines for ventilation and forced draught were at work -- men were picked up by that terrible Luftdruck, like the whirl-drift at a street corner, and tossed to a horrible death amidst the machinery. There were other horrors too fearful to recount. The Blücher had run her course. She was lagging lame, and with the steering gear gone was beginning slowly to circle. It was seen that she was doomed. The bell that rang the men to church parade each Sunday was tolled, those who were able assembled on deck, helping as well as they could their wounded comrades. Some had to creep out through shot holes. They gathered in groups on deck awaiting the end. Cheers were given for the Blücher, and three more for the Kaiser. 'Die Wacht am Rhein' was sung, and permission given to leave the ship. But some of them had already gone. The British ships were now silent, but their torpedoes had done their deadly work. A cruiser and destroyers were at hand to rescue the survivors. The wounded Blücher settled down, turned wearily over and disappeared in a swirl of water. The British flagship made it back to port but was out of action for several months. Since the British lost no ships and suffered few casualties, while the Germans lost a ship and most of its crew, the action was considered a British victory. Both Britain and Germany soon replaced commanders who were thought to have shown poor judgement, and both navies made some changes to equipment and procedures in response to problems perceived during the battle. Buoyed by the success of the raid, Admiral Hipper resolved to repeat the exercise by attacking the British fishing fleet on the Dogger Bank, midway between Germany and Britain, the following month. But through intercepted German radio traffic decoded by Room 40 of British Naval Intelligence, the British learned of Hipper's planned sortie on 23 January. Acting Vice Admiral Beatty set sail from Rosyth with five battlecruisers, supported by four light cruisers, to attempt to trap Hipper's force. Joined by additional cruisers and destroyers from Harwich, Beatty headed south, encountering Hipper's screening vessels at the Dogger Bank at 7:05 a.m. on the morning of 24 January. The day was clear and visibility conditions were unusually good. Sighting the smoke from a large approaching force, Hipper headed southeast by 7:35 to escape, but Beatty's ships were faster than the German squadron, which was held back by the slower armoured cruiser SMS Blücher and by Hipper's coal-fired torpedo boats. By 8:00, Hipper's battlecruisers were sighted from Beatty's flagship HMS Lion. The older battlecruisers of the British 2nd Battlecruiser Squadron lagged somewhat behind the 1st Battlecruiser Squadron. Chasing the Germans from a position astern and to starboard of Hipper's force, the British ships gradually caught up, some reaching speeds of 27 knots, and closed to gun range. Beatty chose to approach from this direction because the prevailing wind then blew the British ships' smoke clear, allowing them a good view of the enemy, while Hipper's gunners were partially blinded by funnel and gun smoke blowing in the direction of their targets. Lion opened fire at 8:52, at an extreme range of 20,000 yards. Other British ships opened as they came within range, while the Germans were unable to reply until 09:11 due to the shorter range of their guns. No warships had ever before engaged at such long ranges or at such high speeds, and gunnery challenges for both sides were therefore unprecedented. Nevertheless, after a few salvos the British had straddled Blücher. The British fire was concentrated on two of the German ships, Hipper's flagship battlecruiser SMS Seydlitz at the head of the line and the old Blücher at the rear. With five British ships to the German four, Beatty intended that his two rear ships, HMS New Zealand and HMS Indomitable, should engage Blücher, while his leading three engaged their opposite numbers. But Captain H.B. Pelly of the newly commissioned battlecruiser HMS Tiger assumed that two ships should concentrate on the leading German ship and engaged the Seydlitz, leaving SMS Moltke unmolested to fire at Lion. Worse, Tiger’s fire was ineffective as she mistook Lion’s shell splashes for her own (when her shots were actually falling 3,000 yards beyond Seydlitz). The British ships were relatively unscathed until 10:18, when SMS Derfflinger hit Lion with several 12-inch shells, damaging her engines and causing flooding so that Lion began to lag behind. At 10:41 Lion narrowly escaped a disaster similar to what had happened on Seydlitz, when a German shell hit the forward turret and ignited a small ammunition fire which, fortunately for the British, was extinguished before it caused catastrophe. A few minutes later, taking on water and listing to port, Lion had to stop her port engine and reduce speed to 15 knots, and was soon out of action, having already been hit 14 times. Meanwhile, at 10:30, Blücher had been hit by a shell from HMS Princess Royal which caused an ammunition fire and boiler room damage. As a result, Blücher had to reduce speed to 17 knots, and fell further and further behind the rest of the German force. Beatty ordered Indomitable, his slowest ship, to intercept Blücher. Now Hipper, running low on ammunition, made the difficult decision to leave the disabled Blücher to her fate and steam for home, in order to save his remaining damaged ships. Nevertheless, the annihilation of the German squadron still appeared likely to the pursuing British until 10:54, when Beatty, believing he saw a submarine’s periscope on Lion’s starboard bow, ordered a sharp turn of 90 degrees to port to avoid a submarine trap. (It is possible that the "periscope" was actually a surfacing, run-out torpedo which had been launched 15 minutes earlier by the German destroyer V5). At 11:02, realizing that so sharp a turn would open the range too much, Beatty ordered ‘Course NE’ to limit the turn to 45 degrees, and then added ‘Engage the enemy’s rear’, in an attempt to clarify his intention that his other ships, which had now left Lion far behind, should pursue Hipper's main force. With Lion's electric generators now out of commission, Beatty could only signal using flag hoists, and both these signals were flown at the same time. 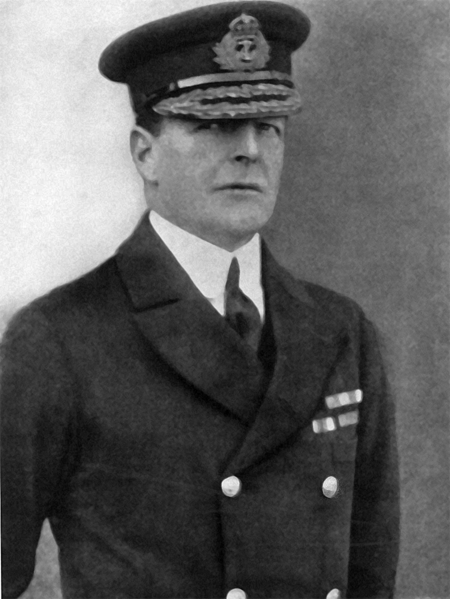 But the combination of the signal of ‘Course NE’ (which happened to be the direction of the Blücher) with the signal to engage the rear was misunderstood by Beatty’s second-in-command, Rear-Admiral Archibald Moore on New Zealand, as an order for all the battlecruisers to finish off the cripple. Therefore the remaining British battlecruisers broke off the pursuit of the fleeing German squadron and rounded on Blücher. Most of the British light cruisers and destroyers also attacked Blücher. Beatty tried to correct this obvious misunderstanding by using Nelson's famous order from Trafalgar ‘Engage the enemy more closely’, but this order was not in the signal book, so he chose ‘Keep nearer to the enemy’ as the closest equivalent. But by the time this signal was hoisted, Moore's ships were too far away to read Beatty's flags, and the correction was not received. Despite the overwhelming odds, Blücher fought stubbornly to the end. Blücher managed to put the British destroyer Meteor out of action and scored two hits on the British battlecruisers with her 8.2-inch guns, but was pounded into a burning wreck by approximately 50 British shells. Finally, struck by two torpedoes from the light cruiser Arethusa, Blücher capsized and sank at 12:13 with the loss of 792 men. British efforts to rescue survivors in the water were interrupted by the arrival of the German zeppelin L-5, and by a German seaplane which attacked with small bombs. No damage was done, but the British ships, which were sitting targets while stopped in the water for rescue, put on speed and withdrew to avoid further aerial attack. By this time Hipper had escaped; his ships were now too far away for the British to catch again. Beatty had lost control of the battle, and he perceived that the opportunity of an overwhelming victory had been lost; the Admiralty would soon reach the same conclusion. 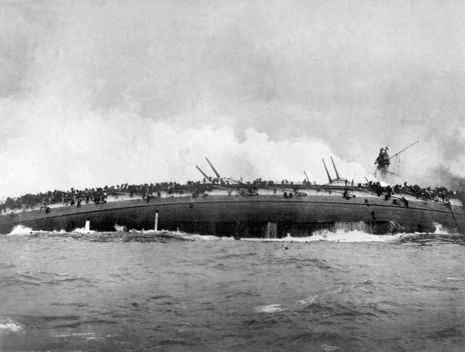 However, in light of what happened later at Jutland, where the British battlecruisers were shown to be highly vulnerable to ammunition fires and magazine explosions following hits on gun turrets, it is possible that if Moore's three fast battlecruisers had pursued Hipper's remaining three (leaving the slower Indomitable behind as Beatty intended), the British might actually have been at a disadvantage and might have got the worst of it. The Blücher demonstrated the ability of the German ships to absorb great punishment; all of Hipper's remaining ships were larger, faster, more modern, more heavily armed, and far better armoured than Blücher. Setting aside the one-sided action in which the already-disabled Blücher was sunk, the Germans out-scored the British by over three to one, registering a total of 22 heavy-caliber hits (16 on Lion and 6 on Tiger), against the British total of just 7 hits. This decisive dominance of German gunnery could have cost the British dearly if they had pursued Hipper, three ships to three. The Lion had to be towed back to port by Indomitable at 10 knots, a long and dangerous voyage in which both battlecruisers were exposed to potential submarine attacks. Therefore, an enormous screen of over fifty ships was assigned to guard Lion and Indomitable as they crept home. Both reached port safely. The disabled Meteor was also towed home. Lion was out of action for four months, Lord Fisher having decreed that her damage be repaired on the Tyne without going into dry dock making for an extremely difficult and time-consuming job. All the surviving German ships reached port, though Seydlitz was heavily damaged and had to go into drydock for repairs. Although the Germans initially believed that Tiger had been sunk (because of a large fire that had been seen on her decks) it was soon clear to them that the battle was a serious reverse. Kaiser Wilhelm issued an order that all further risks to surface vessels were to be avoided. 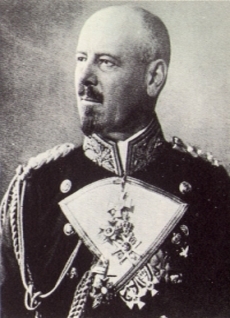 Admiral von Ingenohl, commander of the High Seas Fleet, was replaced by Admiral Hugo von Pohl. The Germans took the lessons of the battle to heart, particularly the damage to the Seydlitz, which revealed flaws in the protection of her magazines and dangerous ammunition-handling procedures. Some of these issues were corrected in Germany’s battleships and battlecruisers in time for the Battle of Jutland the following summer. Although the Germans realized that the appearance of the British squadron at dawn was too remarkable to be mere coincidence, they concluded that an enemy agent near their base in the Jade Bay was responsible, and did not suspect that their wireless codes had been compromised. Although the battle was not greatly consequential in itself, it boosted British morale. But while the Germans learned their lessons, the British did not. The unfortunate Rear-Admiral Moore was quietly replaced, but Beatty’s flag lieutenant (responsible for hoisting Beatty's two commands on one flag hoist, thereby allowing them to be read as one) remained. Signalling on board the Lion would again be poor in the first hours of Jutland, with serious consequences for the British. Nor did the battlecruisers learn their lesson about fire distribution, as similar targeting errors were made at Jutland.